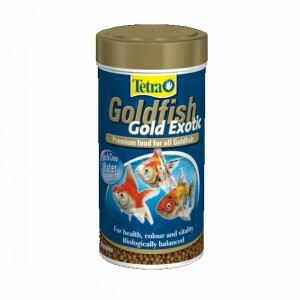 Tetra Goldfish Gold Colour's supreme quality guarantees the best for your Goldfish. It makes an ideal high quality diet form keeping your fish in top condtion. Rich in premium vegetable ingredients, including highly digestible wheatgerm, which precisely meet the natural feeding requirements of Goldfish. Excellent digestability at both high and low temperatures. Granules that soften quickly making the easier for your Goldfish to eat. Feed 2-3 times daily, as much as the fish can eat in a few minutes.